The polymer clay used by Vickie Reid in our DVD. Click here to watch a segment from the sculpting training DVD online! This polymer clay is popular among sculptors and is our first choice in all the newborn designs we sculpt. 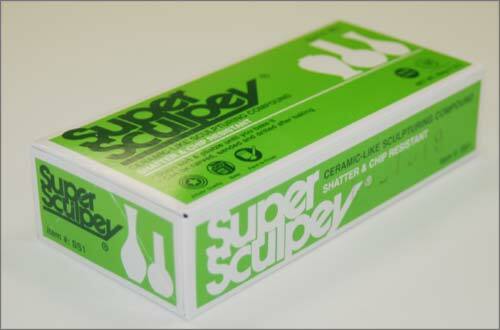 Super Sculpey comes one pound per box. It takes approximately one pound of clay to create a 13.5" diameter head on the Secrist Sculpting Form.